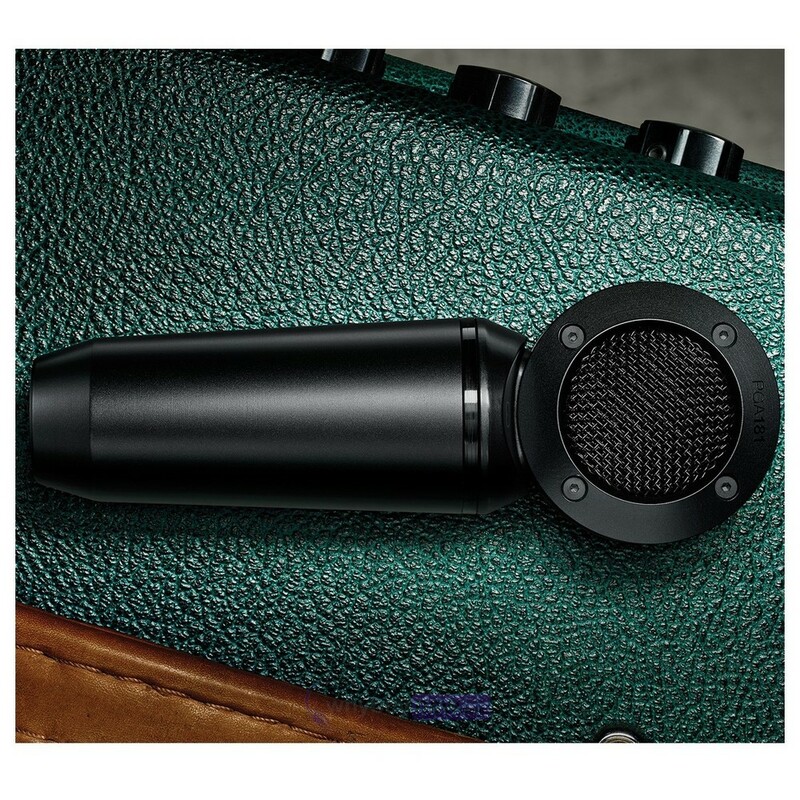 Here we have the Shure PGA181 Side-Address Cardioid Condenser Microphone; part of Shure's ALTO series making professional equipment more affordable for the likes of students or any aspiring artists and bands on a budget. 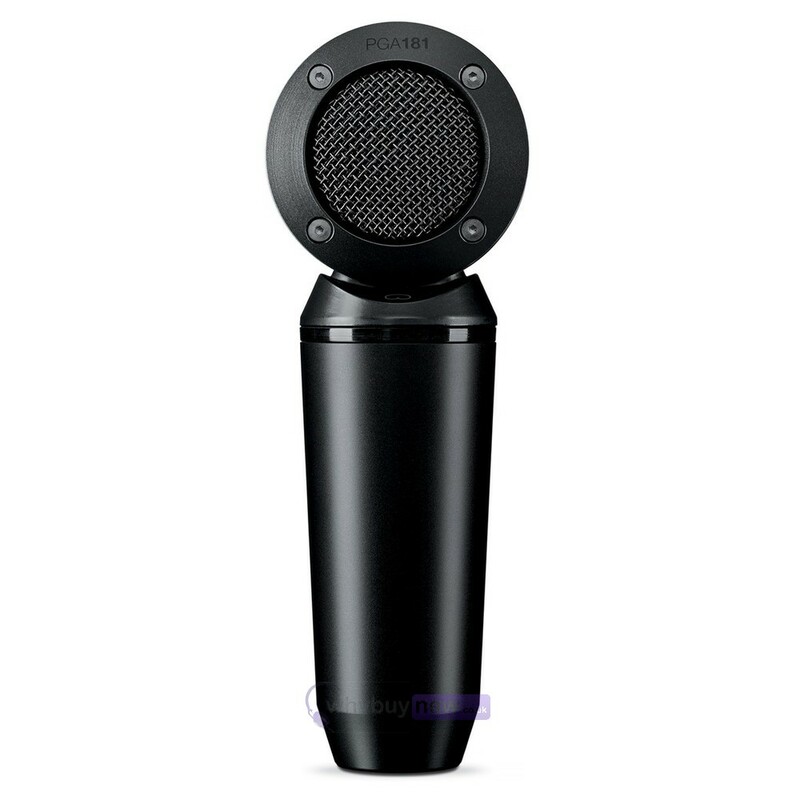 The cardioid polar pattern of this excellent microphone means you won't have to worry about interference from noises around the microphone, picking up on just your voice and making for a smooth and professional sound. 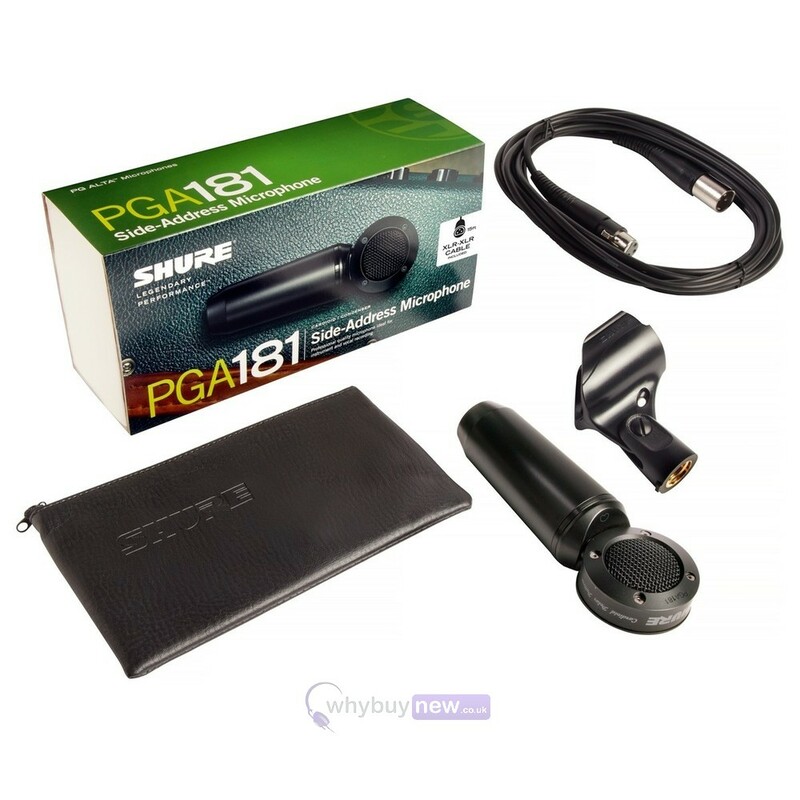 The Shure PGA181 looks professional too with its smart black surface giving an understated look that won't detract from your performance. Side-address cardioid condenser microphone delivers excellent sound for a variety of applications and includes stand adapter and zippered pouch. Features include rejection of unwanted noise and an updated industrial design with a black, metallic finish and grille. Includes stand and pouch. 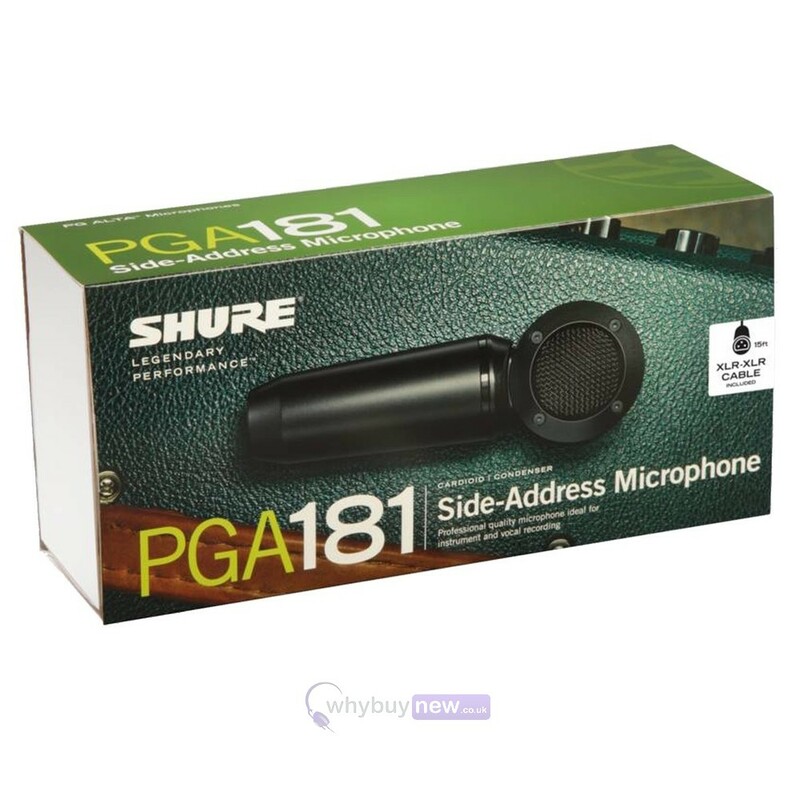 The PGA181 is a side-address cardioid condenser microphone with a smooth frequency response and highly durable construction that delivers excellent sound. 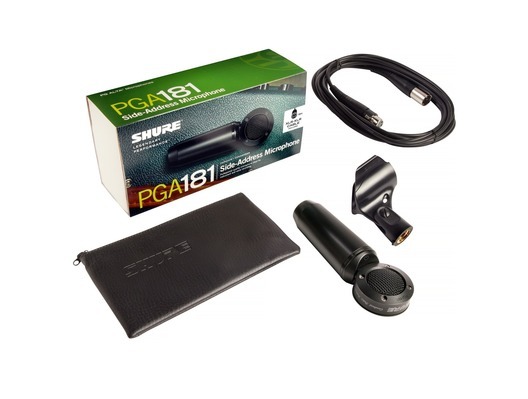 Extremely versatile, the PGA181 is a go-to mic for use with a wide range of applications, including acoustic and amplified instruments, vocals and live rehearsal, recording and performance.